On the road by 4:30AM, and accompanied by triSista Tamar – we made our way north for a 2.5 hour road trip – to Philadelphia for the Rock n Roll Half Marathon. 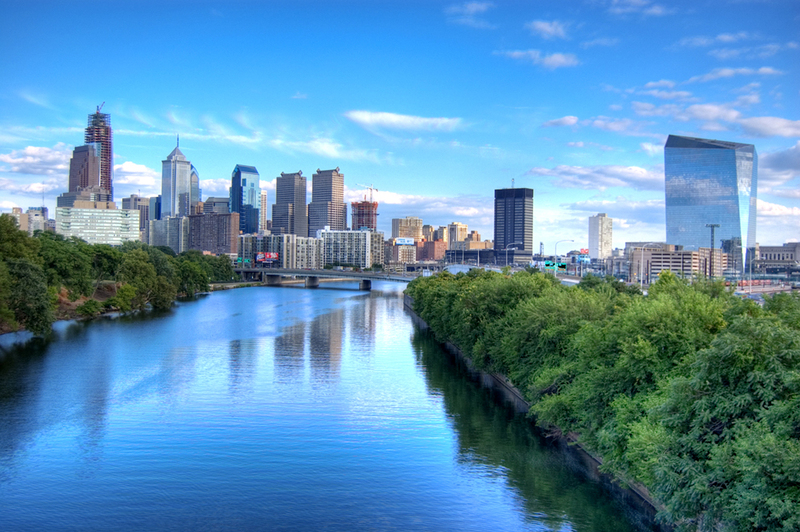 The Philly Half Marathon has become one of my favorite venues – thanks to the amazing course route that blends both downtown cityscape with majestic parkland along the Schuylkill River. This week’s long run is 13.1 miles — making the Philly course a perfect location. We arrived in Philly at 7AM, quickly found a parking space, and stepped outside into surprisingly humid mid-September temperatures. While the temperatures were in the lower 70’s – the humidity turned this into sweating weather. I knew I would need to carry extra water – despite the course being stocked with water stations ever 2 miles. Yes, it was that humid. Many take to the streets in the Philadelphia Rock n Roll Half Marathon to PR. Despite the humidity, Deena Kastor handled that on behalf of the rest of us mortals… While Deena was busy setting fire to the course and doing us “masters” proud (shattering the world record – OK? ), Ms. Tamar and I were busy taking in the sights. 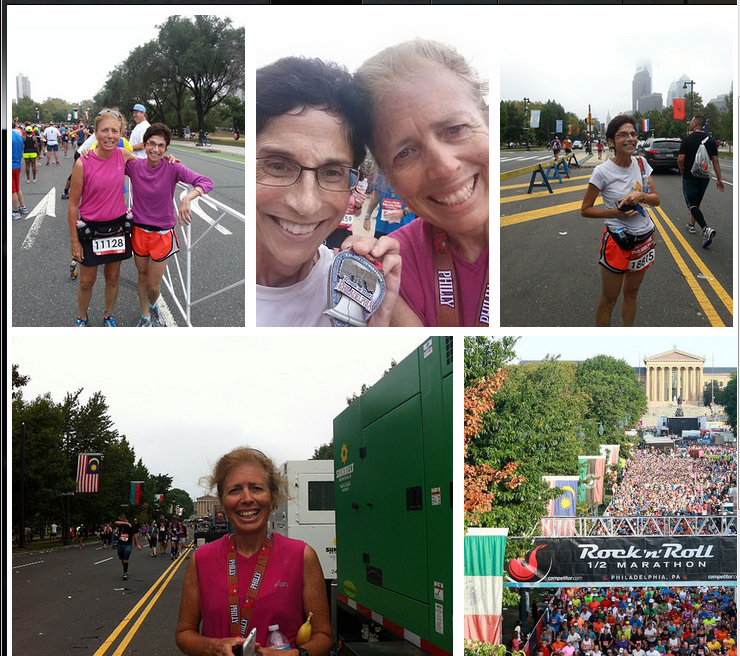 Oh sure, we were running AND sightseeing, absorbing the arts district and downtown Philly, listening to the theme from Rocky, hearing support from spectators (“Go Adrianne!! )” – and ultimately becoming one with the views from the Schuylkill River. Conversations gradually dwindled, GPS watches beeped synchronously at each mile marker, and eventually runners began to tire. Legs get heavy, and the footsteps get louder, and I would imagine those who listen to tunes simply turn up the volume. For many that is the ritual of the half marathon. For me, I run faster the second half of the half. I even feel like I’m landing lighter. Relatively speaking. And all of this could be in my head. As the countdown to NYC marathon becomes more real, as the training slowly peaks, I have discovered that running a half marathon is now framed as a shorter run. Who knew I could ever have such thoughts? After crossing the finish line, and reunited with Ms. Tamar, we collected food and beverages handed out to all finishers, and gradually walked another mile back to our car. Tami took this opportunity to capture on camera distinctive architecture among the buildings – and I scouted out the nearest coffee shop for treats. Sweet! Savoring this moment, cuz next week…is a 20 mile long training run.